Topics: Ride On Lawnmowers, Lawnmowers, Chainsaws, Rider Mowers, Blowers, and Generators. 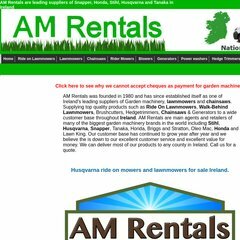 esaleslocal.com Garden Tools, Machinery Sales | Newry Northern Ireland. Its IP Number is 78.153.214.62. It has 2 DNS records, ns1.blacknight.com, and ns2.blacknight.com. Pem Virtual Linux Hosting Infrastructure Carlow is the location of the Apache/2 server. PING www. (78.153.214.62) 56(84) bytes of data.